"We know Spain are a better team on paper, so we'll fight even more," Igor Osredkar told UEFA.com as he explained how Slovenia will try to topple the holders in the last eight. Igor Osredkar and his Slovenia team-mates intend to work doubly hard to bridge the quality gap between the first-time UEFA Futsal EURO quarter-finalists and decorated opponents Spain when they go head-to-head on Tuesday. The sides convene at Antwerp's Sportpaleis vying for the right to face Russia, so polished in brushing aside Romania 6-0, in the last four. The form book points to only one outcome – a Spain victory. Slovenia have only won once in nine attempts at continental finals, beating Italy 3-2 last week, and have never defeated La Roja in 13 encounters dating back to 1996. Consider that the holders have not lost over 40 minutes since December 2005 and the scale of the challenge facing the Balkan selection assumes gargantuan proportions. However, if José Venancio López's all-stars are to progress, they will have to overcome a set of players "with big hearts" who give everything for each other. "We know Spain are a better team on paper, so that's why we'll fight even more," team captain Osredkar told UEFA.com. "We've accomplished our goal – we've qualified for the quarter-finals – and we'll definitely fight, we'll fight for each other. Spain are favourites for the match, we're the outsiders, but we'll never surrender before the game." The FC Litija man has fond recent memories of Spain, having registered twice last month in a 5-5 friendly draw between the nations in Maribor. "It was nice to score against one of the best teams in Europe," said the 27-year-old. "I will try to get a good result and maybe I will score again. It would be nice." Osredkar, a combative character who in Slovenia's triumph over Italy greeted tackles and blocks with roars of delight, was also in the squad that succumbed 4-2 to Spain in their opening game at Croatia 2012. This fixture, though, has greater billing. "It's one of the biggest matches of my national team career," he explained. "I can compare it to when I played Barcelona [in the 2012/13 UEFA Futsal Cup elite round]." While the odds are stacked against them, Slovenia's exploits against Spain in early January, plus the way Croatia held the six-time winners 3-3 in their tournament curtain-raiser, gives Osredkar a glimmer of hope. "Every team is beatable and this is only one match, but we know Spain are favourites," he said. "We'll try to win." Not only have Croatia failed to beat Italy in 14 past matches but coach Mato Stanković considers their last-eight opponents to have already produced the performance of the finals. 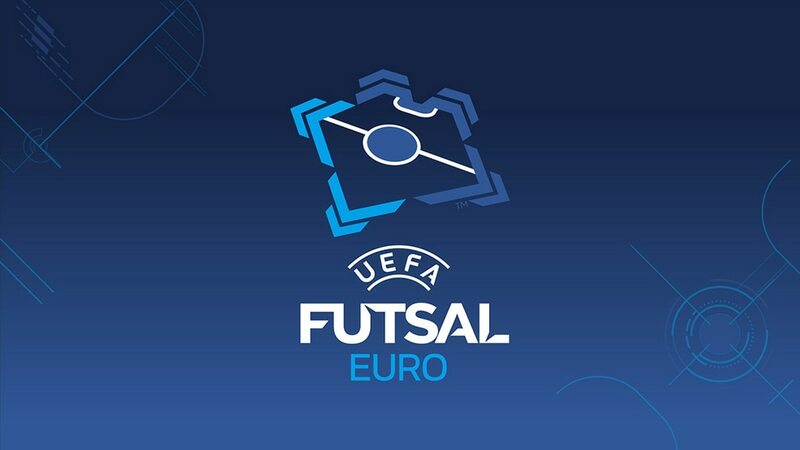 Spain captain Torras, aiming for a joint-record fifth title, will miss the rest of UEFA Futsal EURO 2014 with a knee injury suffered in Sunday's 8-1 defeat of the Czech Republic. Andrej Dobovičnik told UEFA.com that facing holders Spain in the quarter-finals, Slovenia's first-ever knockout game, will be one of the "proudest matches in our history". Slovenia 6-7 AzerbaijanSlovenia seemed to be sailing through at 5-2, but Azerbaijan fought back and flying goalkeeper Edu clinched victory in the final minute.